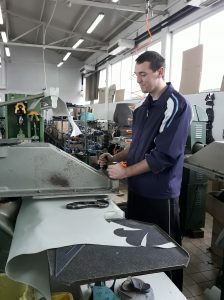 Within the project “Partnership for quality jobs and competitiveness”, implemented by the Local Employment Partnership Prnjavor, on March 5th, the second cycle of training for unemployed persons for work in footwear production began. It is a training for sewing and tailor profession which will be attended by four unemployed persons. The training is part of the Partnership’s activities, which will increase employability of 75 unemployed persons and employ 50 of them in the metal processing, wood processing, food and footwear production. 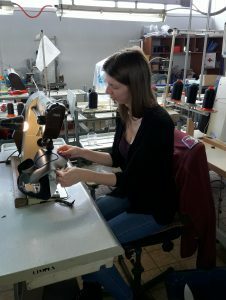 The training for sewing and tailor profession includes 20 days of intensive practical training, during which unemployed persons will acquire necessary knowledge and skills for working in footware industry. 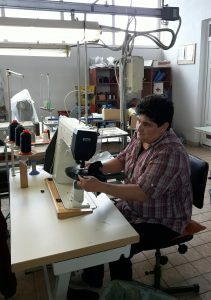 The training is attended by three women and one man, all from Prnjavor, three of them are younger than 30 years, while one trainees is part of hard-to-employ category of unemployed persons, since she has been registered at the Employment office for 14 years. Depending on achieved results, the trainees may be employed at the company KLM d.o.o. in which the training is organized. All four trainees from the previous training cycle are working in the same company now.